The Carlton Winemakers Studio found nine different producers using the state of the art facility for the first time. A joint project between Kirsten and Ned Lumpkin and Eric Hamacher and Luisa Ponzi, The Carlton Winemakers Studio was poised to make history from conception. Eric Hamacher had lobbied to allow multiple producers to use the same facility and won clearing the way for the Northwest’s first winery built specifically as an Alternating Proprietorship. The design and building of the Studio was also groundbreaking. Touted as the country’s first “Green Winery”, the partners had a vision for a winery that was in sync with its location and the environment. Built to LEED (Leadership in Engineering and Environmental Design) certification standards, the Studio was groundbreaking. Meticulously thought out by Eric, it was designed to be a winemaker’s winery with all the bells and whistles on a winemaker’s wish list. Some heavy-weight winemakers “broke in” the building, including Tony Soter, Lynn Penner-Ash, the late Bryce Bagnall, Andrew Rich, and our co-founder Eric Hamacher, making both Hamacher Wines and the small-production wines for Lazy River Vineyards. 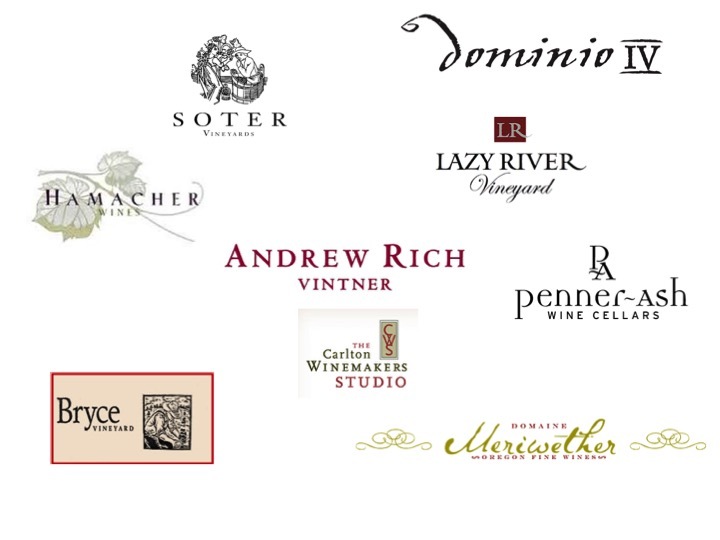 Lynn Penner-Ash, Bryce Vineyard, and Dominio IV were launching their brands with their very first vintages in 2002. Aside from Bryce Vineyard, which suffered the loss of winemaker and co-founder Bryce Bagnall in 2006, all of these original wineries have thrived since that first vintage. Thought of as an incubator for start-up wineries, the Studio has certainly served that purpose for many brands who have moved on and built their own wineries, but it also has been a long-time home for two brands—Andrew Rich Wines and Lazy River Vineyards—who have made their wines here for all fifteen years. Hamacher Wines, having been at the Studio for twelve years, moved their production to the original Ponzi Winery in Beaverton in the 2014 vintage to make room for a new set of vintners looking for a home for their wines. Originally, The Carlton Winemakers Studio made wine under their own brand “CWS.” It was produced in small quantities consistently from 2002 until 2007, with one last vintage in 2010. This label was sold in the tasting room exclusively. The focus of the tasting room and wine club since then has been to promote the many wines and vintners that make wine side-by-side in this incredible place.